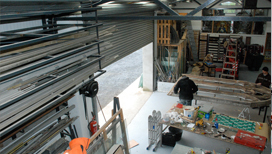 Sheridan Stained Glass operates from a modern, purpose built building set in the beautiful rural landscape of Kells, Co.Kilkenny. 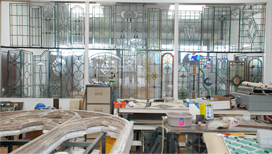 Within this studio we can undertake all work pertaining to stained glass manufacture, conservation, restoration and protection. 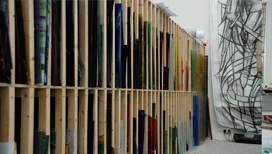 The studio is divided into areas for display, design, glasswork, painting and firing of glass, cleaning and cementing, repairing and steel and wood work. 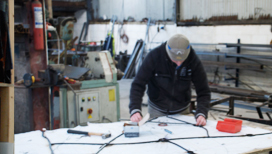 We hold an extensive quantity of old, salvaged glass which enables us to undertake restoration work to the highest standard. Also, we have over the years gathered together various fittings such as bronze hinges, latches and quadrants for opening vents as well as other difficult to obtain or manufacture components.